To personalize user experience: We may use information in the aggregate to understand how our Users as a group use the services and resources provided on our Site.. Your personal information will not be given to or sold to third parties. We adopt appropriate data collection, storage and processing practices and security measures to protect against unauthorized access, alteration, disclosure or destruction of your personal information, username, password, transaction information and data stored on our Site. Your password is never stored in plaintext at any time.. All data transferred between the User and the Site is protected with SSL encryption. 1. Account balance updates: This allows the account balance of Undebt.it accounts to be automatically updated via YNAB. Only the budget name, account name & balance are accessed and stored on the Undebt.it server. 2. Account transaction imports (not implemented yet): This allows the automatic import of payment & purchase transactions on your Undebt.it accounts. No detailed transaction information be accessed or stored in any fashion. Only the transaction amount and date are stored on the Undebt.it server. It's important to note that Undebt.it does not at any time have access to your YNAB account or financial institution login credentials. Furthermore, Undebt.it will not at any time ask you for any of your financial account credentials. Only the account information listed in the section above is stored on the Undebt.it server. No third parties have access to this data at any time. All data exchanged between the Site and YNAB are always protected with SSL encryption at all times. The User can choose to remove the account link at any time and for any reason. Access to YNAB account information can be revoked by visiting the Developer section on your YNAB account. Undebt.it guarantees that the data obtained through the YNAB API will not knowingly be passed to any third-party. YNAB reserves the right to revoke access to their API at any time and for any reason. For this reason, Undebt.it cannot guarantee that the account syncing feature will always work. Please read these terms of service ("terms", "terms of service") carefully before using the Undebt.it website (the "service") operated by Undebt Solutions, LLC ("me", "I", "mine"). I will provide the services to you, which are subject to the conditions stated below in this document. Every time you visit this website, use its services or make a purchase, you accept the following conditions. This is why we urge you to read them carefully. Content published on this website (digital downloads, images, texts, graphics, logos) is the property of Undebt Solutions, LLC and/or its content creator and protected by international copyright laws. The entire compilation of the content found on this website is the exclusive property of Undebt Solutions, LLC, with copyright authorship for this compilation by Undebt Solutions, LLC. The entire communication with me is electronic. Every time you send me an email or visit my website, you are going to be communicating with me. You hereby consent to receive communications from me. 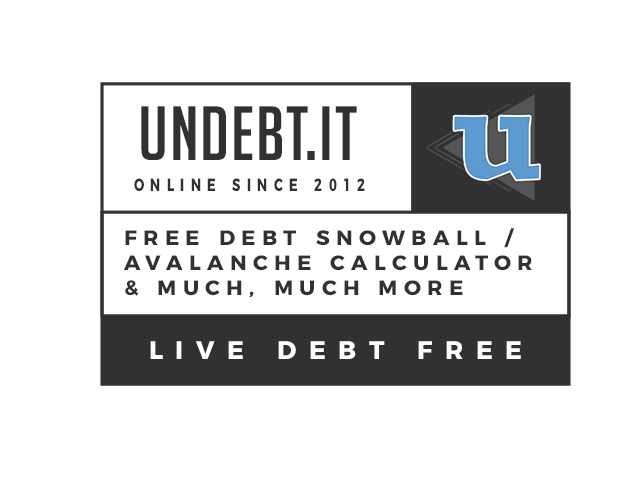 If you subscribe to the Undebt.it+ premium account (including the free 30-day trial), you are going to receive a renewal email before your subscription expires. I will continue to communicate with you by posting news and notices on my website and by sending you emails. You also agree that all notices, disclosures, agreements and other communications I provide to you electronically meet the legal requirements that such communications be in writing. By visiting this website, you agree that the laws of the California, without regard to principles of conflict laws, will govern these terms of service, or any dispute of any sort that might come between Undebt Solutions, LLC and you, or its business partners and associates. Any dispute related in any way to your visit to this website or to products you purchase from me shall be arbitrated by state or federal court in California and you consent to exclusive jurisdiction and venue of such courts. Visitors may send me an email or use the contact form as long as it is not obscene, illegal, defamatory, threatening, infringing of intellectual property rights, invasive of privacy or injurious in any other way to third parties. Content has to be free of software viruses, political campaign, and commercial solicitation. I grant you a limited license to access and make personal use of this website. You are not allowed to download or modify it. This may be done only with written consent from me. I reserve all rights to terminate user accounts, edit or remove content and cancel orders in my sole discretion.